Call on the Pittsburgh DUI Attorney, Steven C. Townsend if you’ve been charged with a DUI or other crime. Since the Birchfield decision ruled that BAC results are not admissible without a warrant, District Attorneys are still trying to move forward with DUI cases on the general impairment charge. 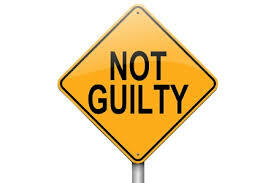 Don’t fall victim to the pressure to plead guilty. There are many defenses to general impairment cases and you should contact Eddy DeLuca Gravina & Townsend to discuss your options before making your decision. You can lose your license, your job, and lose your right to carry a firearm. Commonwealth v. Dragoslovich Driver is pulled over for an alleged firearms violation and subsequently arrested for DUI based on the smell of alcohol and failed field sobriety tests. Consequences that can flow from a DUI arrest and prosecution include: loss of your driver’s license, heavy fines, court costs and extensive administrative fees, probation, jail or state prison, vehicle impoundment or forfeiture, an ignition interlock device put on your car, etc. Pennsylvania treats Driving Under the Influence (“DUI”) seriously. The DUI laws are strict. Call the TRUSTED Pittsburgh DUI attorney, STEVEN C. TOWNSEND, to fight for you and to save your license. Don’t let a DUI destroy your life or jeopardize your job.